The capital of Hanoi has been tackling the obstacles that face overseas investors in a bid to draw more foreign direct investment (FDI) to the city, and to boost municipal socio-economic development. 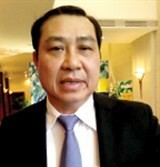 Nguyen Ngoc Tuan, Vice Chairman of the Hanoi People’s Committee, said that the city has asked relevant branches and ministerial departments to listen to the complaints of foreign invested enterprises and to offer solutions in a timely manner. The city requested foreign investors to implement their licensed projects on schedule, otherwise their licences would be withdrawn. Specifically for 8 projects which are facing difficulties in site clearance, the city asked relevant site clearance steering boards to work closely with the investors to speed up the work. City authorities will also promote administrative reform, improving processes of planning, investment, building and taxation to support business start-up. Numerous trade promotion activities will also be held in the near future with a view to attracting more domestic and foreign investments to the city. 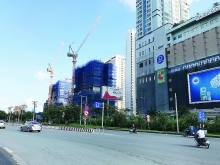 According to statistics from the municipal People’s Committee, by the end of 2014, Hanoi attracted 3,169 FDI projects with the total investment of US$26.3 billion, ranking third nationwide. Of them, 2,988 projects worth a combined US$21.7 billion are still valid. Around US$11.3 billion has been disbursed. 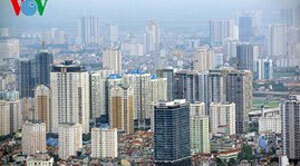 In the first quarter of this year, an additional US$160.2 million poured into the city. To date, the Republic of Korea has led the foreign investors in Hanoi, with 893 projects worth US$4.77 billion, followed by Japan with 683 projects valued at US$4.64 billion. The real estate sector has become the most attractive sector for investment in the city, accounting for 46.6% of the total capital, followed by manufacturing and processing with 28.5%.